There are few perfumes as iconic as J’adore by DIOR. Where many stand as classics and legends, J’adore exists as a goddess – a sublime deity decked out in stunning gold from head to toe. Well, if you thought that J’adore was glamazonian, brace yourself for J’adore Absolu – a new interpretation of DIOR’s famous floral bouquet that celebrates the hedonistic beauty of J’adore’s iconic white flowers. 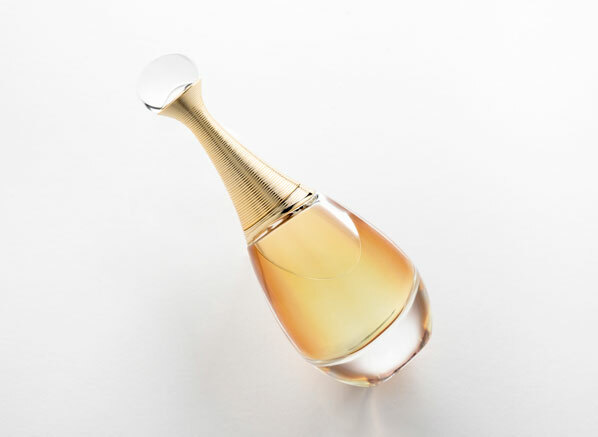 In two words, J’adore Absolu is best described as “bottled sunlight”, but not just any type of sunlight, no, it represents a particular moment in the day – that golden hour when the sun crashes into the horizon and bathes the landscape in waves of brilliant, bronze light. A halcyon moment perfectly showcased in a buoyant, shimmering floral that vibrates with captivating and electric energy. That sounds beautiful, doesn’t it? Magnolia Absolute, Grasse Jasmine Absolute, Grasse Rose Absolute and Orange Blossom. 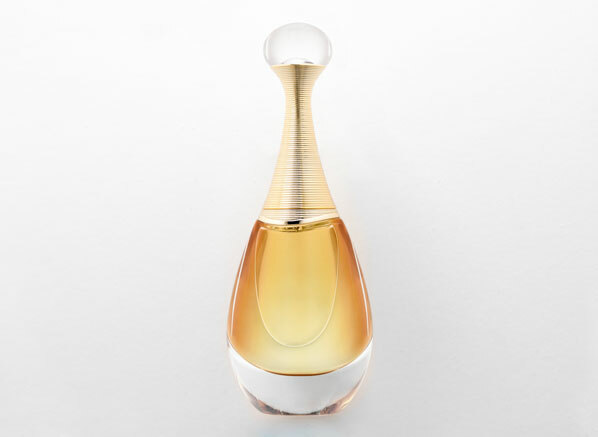 The olfactory images are painted so vividly in J’adore Absolu. The opening moments paint a portrait of a full magnolia bloom rising from an endless sea of gold paint. Bathed in contrasts, the magnolia, with its hot white floral intensity shimmers with a glitter of citrus, tiny droplets of which bring a fresh juxtaposition to the waxy white plumage. Spraying J’adore Absolu is akin to lighting a sparkler – a rush of excitement and a crackle of light makes way for a more vivid display soon to unfold. In this iridescent bouquet, magnolia was simply the appetiser to what becomes a veritable feast of flowers in the heart, the star of which is a warm, yet fruity jasmine note. This jasmine sits at the core of J’adore Absolu – its animalic intensity softened by orange blossom, a succulent flower that has a striking duality, bringing the refreshing facets of neroli as well as a honeyed, nectar-like richness evocative of orange flower. Rose is the element that brings everything together, linking citrus and honey, with dewy petals, and with heady white floralcy. Harmonious and balanced, J’adore Absolu exists in perfect equilibrium. As I said at the very beginning of this post, J’adore Absolu is beautiful, stunning even. It is rich, heady and intense, but at the same time, it boasts ethereal transparency that ensures it never feels overbearing or heavy. J’adore Absolu is a blindingly bright perfume with wonderful depth. It wears like ombré; it’s pure white magnolia in the top notes leading to golden sundown in the base. It really is beautiful. This entry was posted on Wednesday, January 30th, 2019 at 6:05 pm and is filed under Candy Perfume Boy, Fragrance, New products, Tried & Tested. You can follow any responses to this entry through the RSS 2.0 feed. You can skip to the end and leave a response. Pinging is currently not allowed.